Load Testing usually comes at the end of the testing phase when you’re feeling a time crunch. Fortunately, LoadView makes the whole process quick and easy. The actual load test will take minutes. What this load testing tutorial will walk through, and what you’ll spend most of your time doing, is performing setup and preparation before running the test and troubleshooting afterwards. Write or re-use existing test cases that emulate typical user behavior, including generating errors. Decide how many virtual users to include in your load test based on the amount of traffic you received on your busiest day in the past year (test for more than that). 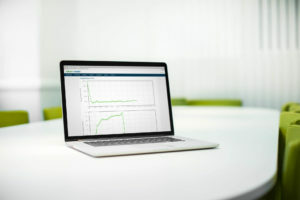 Examine detailed traffic data to see how and when your volume of traffic increases and decreases throughout the day – your load curve should imitate the real world pattern. Research the browsers and platforms that most of your visitors use, including mobile. Download and install Dotcom Monitor’s EveryStep Scripting Tool. Enter your starting URL in the tool and specify which browser you want to emulate in the script. Then point and click to record your test script. When you navigate to a new web page while recording, EveryStep will prompt you to add content validation. You can validate text or an image, or skip content validation entirely. When you stop recording, EveryStep will prompt you to run the script to check for errors. You can then save or upload the script. Lather, rinse, and repeat until you’ve recorded scripts for all your test cases. LoadView will prompt you to specify some necessary details for your load test, such as login credentials and maximum load time. There are copious tooltips to walk you through each option. Nest you’ll have to calibrate the test. All you do is click a button and wait for LoadView to do its thing. Calibration makes sure that the CPUs of the virtual servers don’t become overwhelmed, creating bottlenecks that can affect your test results. The next step is building the load curve. Your load test will start with 0 users, and steadily increase to a specified maximum number. You can also reduce the number or keep it steady for a certain period of time. As you add changes to the load, the load curve graph will update to reflect your changes. Your load curve should reflect real world usage. Finally, you’ll specify the geographic zones you want your virtual traffic to come from. Depending on where your users live, you may wish to select servers in a variety of countries or only in your immediate region. As you specify the geographic regions, LoadView will calculate and update the cost of running the load test. The total price is affected by the total number of virtual users as well as the number of servers. After you complete setup, LoadView displays a summary of your test details, including the price. Enter your e-mail address, click a button, and that’s it. LoadView will send a notification email when the test begins and ends. It typically takes less than 10 minutes to run the load test, but it may take as long as an hour depending on the geographic regions you selected. You can watch the test results update in real time, or wait for LoadView to e-mail you PDF reports. The reports are straightforward and self-explanatory.